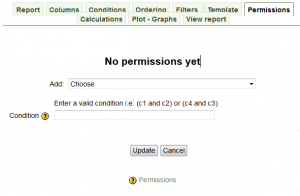 Today’s review Module is the Configurable Reports block for Moodle 2. This block provides a way of creating custom reports without knowing database query language (SQL) and assigning access to selected users. 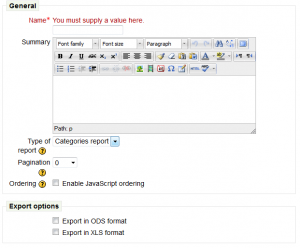 There are a few options for implementing extra reporting in Moodle, and this plugin is certainly one to look into. This module for Moodle is created as a block and is maintained by Juan Leyva from Spain. 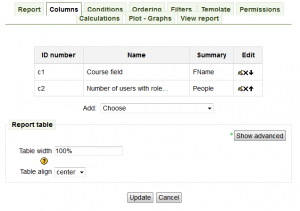 This was first released in October 2010 for Moodle 1.9 and was later released for Moodle 2. Yes. I downloaded the provided zip from the plugin page and extracted the configurable_reports folder. I uploaded it into the blocks section of my Moodle 2 install. When it was installed through the notifications page, the plug-in caused no errors and brought up no extra global settings. The source code is also available from contrib CVS. The plug-ins page has a brief overview on the module and links to the very detailed Moodle Docs page. There are also links to the Bug Tracker entry and a discussion forum for questions. the Moodle Docs page has information on how to install, configure, create reports and on the advanced options available if you need them. Yes. Once you add the block to a course, you then go in and manage the reports. You can either upload a pre-defined report or build one using the interactive interface. The first page of the report generation gets you to define basic information including the name, type of course and the export options. So you can set one or many of these access rules, which is very cool. Once it is all set up you can just run the report. If the report provides data in such a way that a pie-chart would be useful visual, you can also set this up. You can create the pie chart by defining the Plot options, of the name field and value field, and if you want to group the same values. Very handy. Yes. If the student has access to the report they can run it. It is really that simple and straightforward. There is also a nice print option which displays the report without any header/blocks around it. Another nice addition. Yes. 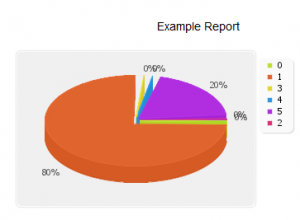 This report block is useful in creating custom reports for all levels of users. I really like the export and print outs. However I did find a number of white screens (page had errors on it) when I was doing some options and so perhaps there are a few things still that need catching. That said, definitely one to keep an eye on. Plese tell me what is way to put user wise filter in sql Report.